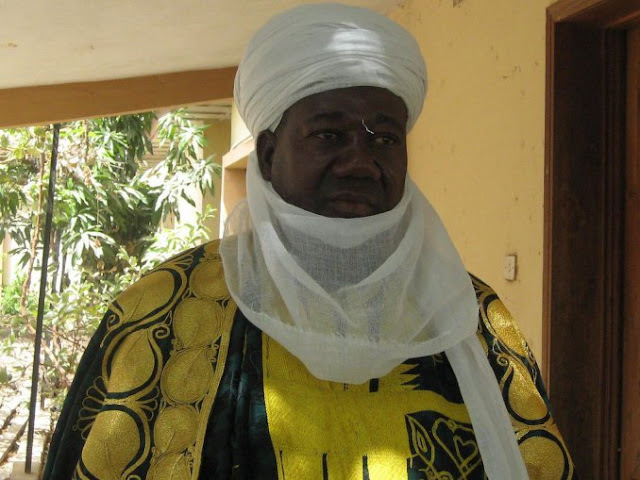 The Etsu of Patigi, His Royal Highness, Alhaji Ibrahim Chatta Umar OON has described the present administration of President Muhammadu Buhari as a government of accountability. He stated this on Wednesday when he received in audience at his palace, the officials of National Cash Transfer who handle the payment of Federal Government’s Social Investment Programme meant to positively touch the lives of the grassroots less privileged and vulnerable persons. The coming of the National Cash Transfer officials is not unconnected with the petition received by Patigi Progressive Minded Youths (PPMY) Director of Publicity and Public Petition Mr. A. Y. Nafanwona that there is underground plan by some cabals to frustrate and cause confusion by reducing the numbers of SIP beneficiaries who are Fourty per community. A programme where President Buhari’s led government is paying N5000 monthly to each of the beneficiaries who are totalled at 1198 cutting across 30 communities in Patigi LGA. The National Cash Transfer officials who were lead to Emir’s Palace in company of Patigi Local Government Vice Chairman together with PPMY officials made their intentions known to His Highness that they have only come to sensitise the beneficiaries on some minor changes that have been done to the program. It was at this point that Mr. Nafanwona cut in and told the Emir in their presence that PPMY has reliably gathered that their coming is not to sensitise but to drop the names of some beneficiaries without following due process or consulting the community in question. This was further buttressed by Mr. Mahmud, the Union’s President who categorically alleged that the officials have perfected their plans and even dropped some beneficiaries and are only in Patigi to announce that to the beneficiaries. This did not go down well with the Emir as he gave a fervent warning to the officials not to temper with the list of the beneficiaries as doing that will not only cause enmity between the beneficiaries and the LG officials bridging the program but also have negative political implications on the reelection ambitions of President Muhammed Buhari. The traditional ruler did not hide his unhappiness with the poor implementations of the said program as against the good intentions of President Buhari even as he see it as laudable program. On this note, the officials promised the Emir and PPMY that non of the beneficiaries would be removed but be allowed to enjoy the program till the end which is for 3 years. The officials left palace for Local Government Secretariat with PPMY officials where the beneficiaries were addressed. The beneficiaries thanked His Highness for his intervention and also commend PPMY for their doggedness in fighting for them and the entire community against what they described as anti Buhari’s good intentions.